Kelly Dawson Author: E is for Equestrian Spanking Romance! E is for Equestrian Spanking Romance! June Challenge: SpankA2Z I'm having so much fun with this blog hop! 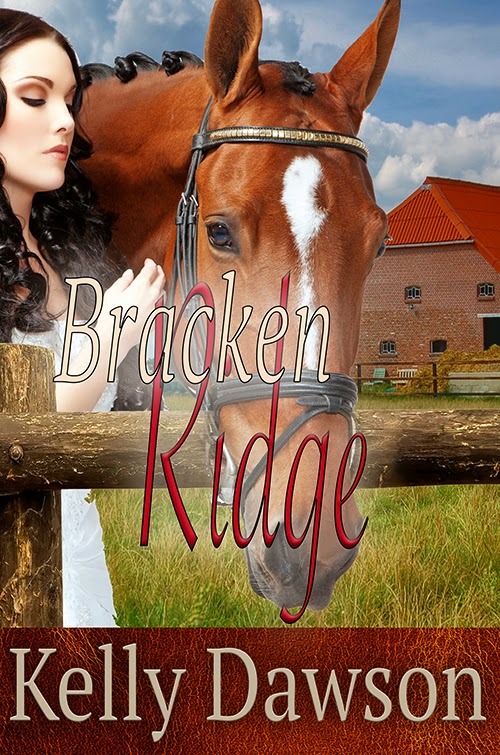 Those of you who have visited my blog before will be familiar with Bracken Ridge an equestrian spanking romance - my debut novel. Here is an excerpt: Jeremy gave her a grin when she walked past him in the stables the next morning. Dawn had barely broken, and the stables were a hive of activity. The three school-aged stable hands were hard at work, tying up horses, leading others outside to the day paddocks and mucking out stables. Anna gave him the fingers. The stable hands sniggered. They liked Jeremy for the most part, but they had each encountered his wrath at one time or another. He was a fair man, but firm. And the young stable hands thought he could be too bossy and had an occasional arrogant streak, so they loved it when someone gave him his come-uppance.